Does the Torah discuss extra-terrestrial life and/or civilizations? 'Curse you Meroz,' said the messenger of the Lord, 'curse you bitterly (you) inhabitants thereof,' because they came not to the aid of the Lord, to the aid of the Lord against the mighty. The Talmud (Mo'ed Kattan 16A - English on page 59 here) brings two opinions of who or what Meroz is. According to one of the opinions, Meroz is the name of a star. So Devorah and Barak are cursing the inhabitants of a star (i.e. aliens) for not coming to their aid in battle. Hasdai Crescas, the great medieval Jewish philosopher, evoked the words of Psalm 19:2: “The heaven [or skies] declare the glory of God….” The rich cosmic landscape with all of its created wonders, is a testament to the artistry of its Creator...Crescas’ classic work, Ohr Hashem, originally published in Ferrara, Italy in 1555, contains an entire chapter where he maintains that the possibility of life on other planets is not in conflict with Jewish belief and Torah sources. Rabbi Chisdai Kerashkash, in his book Ohr Hashem (4, 5) explains that the possibility of extra-terrestrial life is not negated anywhere in Torah sources. The Sefer HaIkarim, on the other hand, quoted in Sefer HaBrit (1-3, 4), is of the opinion that there is no life on the stars and planets. The Sefer HaBrit himself argues, and agrees with Rabbi Chisdai. Similarly, the Chidah in Petach Einayim (on Tosafot, Menachot, 37a) is of the opinion that such life does exist. Here is a link to the Ohr Hashem. According to the article by Aryeh Kaplan brought Adam's answer, it is Ma'amar 4, Drush 2. Here is the Sefer Habrit (Part 1, Ma'amar 3, Chapter 4). Please learn it, since I'm not sure I understood it correctly, but it appears he says that while life may exist, it will not be life we are familiar with. This is because the conditions are different there than they are here on earth. He compares this to sea-life. The Talmud says that everything that exists on dry land exists in the sea as well, but they are not exactly the same form. The ones in the sea may parallel the ones on dry land, but they're different because they live in a different environment. He continues that it is impossible that there will be human-like aliens with free will, although they might have intellectual capabilities. According to Torah, only man was created with free will, not any creature lower (e.g. animals) or higher (e.g. angels) than him. The Lubavitcher Rebbe (see here and here) said that “One who declares that there is no life besides on earth is limiting the Creator’s abilities.” And encouraged Professor Velvel Green to continue his work in this area. Much like there are animals that can do things that are considered to be human traits, such as speak and use tools, so too there are non-human beings that have intellectual capacities. It is even possible that these non-human beings can surpass human capabilities. Angels, for example, have more intellectual capacities than humans (Maimonides Hilchot Yesodei Hatorah 3:9). However, free choice is a uniquely human capability that sets us apart from the the rest of creation. Free choice, according to Torah, is defining quality of intelligent life. Free choice is only possible because G-d gave us the Torah. Without free choice, observing Torah and Mitzvot would be a sham. Therefore, when G-d gave us commandments, he gave with it the ability to truly choose whether to do them or not. It is because of the Torah that we have free choice. Since the Torah was only given to the Jewish people here on earth, we must say that any extra-terrestrial being does not have free will. Civilized Societies are created by intelligent being with free choice. If aliens don't have free choice, they would not have civilizations. 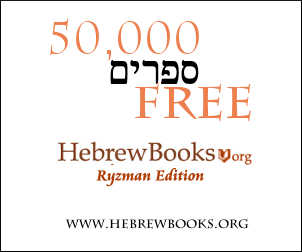 See here for a summmary of the Lubavitcher Rebbe's view by Tzvi Freeman. Based on one understanding of this opinion's reading of the pasuk it would seem that Meroz is inhabited/contains a civilization who would be capable of aiding the Jewish people in battle. Various Kabbalistic works (whose translation and discussion are out of my scope) make mention of the possibility of extraterrestrial life as do a number of medieval Jewish philosophers. For more on this see below. Regarding what the status of these being would be and their obligation in the Sheva Mitzvot Bnei Noach, Sefer Habrit tells us, 'we should not expect these beings to resemble life on our earth, just as life of the sea does not resemble that of the land' and it seems clear that they would not be obligated in the Sheva Mitzvot Bnei Noach being that they were not commanded in them and are not descendants of Noach. Rabbi Aryeh Kaplan wrote a phenomenal piece on this topic which lays out all the sources and philosophical implications of extraterrestrial Life (ie. aliens) called "On Extraterrestrial Life" which was originally published in Intercom Magazine in 1972 and again published posthumously as part of "The Aryeh Kaplan Reader" (here is a link to Google Books) and is available online here. Rav Chasdai Crescas in his work, Or HaShem, comes to the conclusion that there is nothing in Jewish theology to preclude extraterrestrial Life. Rav Yosef Albo disagrees with this concept and states that it is theologically impossible for extraterrestrial Life to exist. Sefer Habrit takes a middle road in stating that extraterrestrial Life certainly exists, but that it does not posses free will (although the beings may be intelligent). He adds that we should not expect these beings to resemble life on our earth, just as life of the sea does not resemble that of the land. In the article Rabbi Kaplan lays out the foundations to answering your question by discussing the nature of free will and how it relates to these hypothetical extraterrestrial beings. Similar to several answers above: there was a Jewish biologist who consulted for NASA when they were concerned about viruses being brought back by astronauts and the like. He said he spoke with Rabbi Menachem Mendel Schneurson, the 7th Lubavitcher Rebbe, about extraterrestrial life. The Rebbe said that sentient beings would be theologically problematic, but all other sorts of life forms were most certainly possible. "And don't say they can't exist, because then you're claiming there's something G-d can't do!" Traditionally no, however a alien inclined reading of the Bible, could lead one to believe that the "Nephilim" (נְפִילִים) and "Anakim" (ענקים) might be aliens, or other races of humans. They are treated as goyim and not animals. I love the research you have done. I'm interested in the fact that my rabbi says that to believe in aliens is non-religious and goes against the Torah: I say it doesn't, because in many instances, such as in Ezekiel, it mentions some sort of, I'm assuming, beings in a craft telling to take measurements — and also in Enoch. And I do believe that in Song of Solomon it is written that he possessed a flying machine referred to as a "carpet", which is an analogam, as that term was used widely in the Middle East in those days to describe these flying machines. Not the answer you're looking for? Browse other questions tagged gentiles animals outer-space .